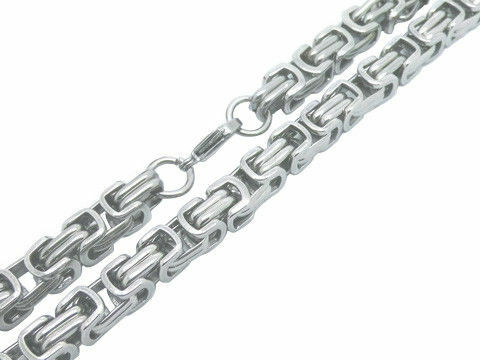 Top high quality of fashion unyielding men's silver color stainless steel chains necklace. The Chain is handmade and hand-polish byzantine. Made of 304 stainless steel, and if you need better quality, you can choose 316 or titanium stainless steel. This model is just the chain, without pendant. Unique 3D design with exquisite craftsmanship in high quality.